~Seriously you guys, how good was The Princess Bride? We at the AFFotD offices often have to swallow quite a modicum of our pride when we’re encountered by foreigners who accomplish American deeds. After all, you don’t have to be a born American to become a governor of one of the nation’s most populous states. Or to knock up the help. So that’s why, when we were watching The Princess Bride in our weekly “watching a chick flick that is actually totally acceptable to watch” night, we figured it was time that we gave proper deference to a Frenchmananoghieipghepwaighpae. Sorry, the temp we had typing that spontaneously combusted- we have our keyboard wired to set fire whenever something positive is said about people from that…F country. But yes, we’re here to salute Andre the Giant, who did enough amazing American things in American, that we posthumously have declared him an American. Because we’re running out of interns to explode, and we want to take credit for him. 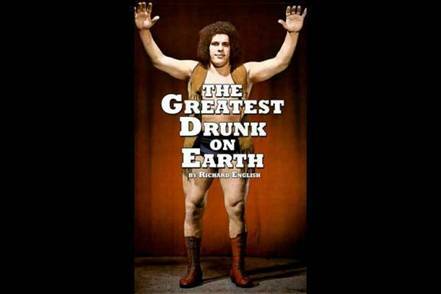 So from now on, his birth will be described in “Georgia” instead of “Grenoble, France.” Because you have no idea how much Andre the Giant could drink.